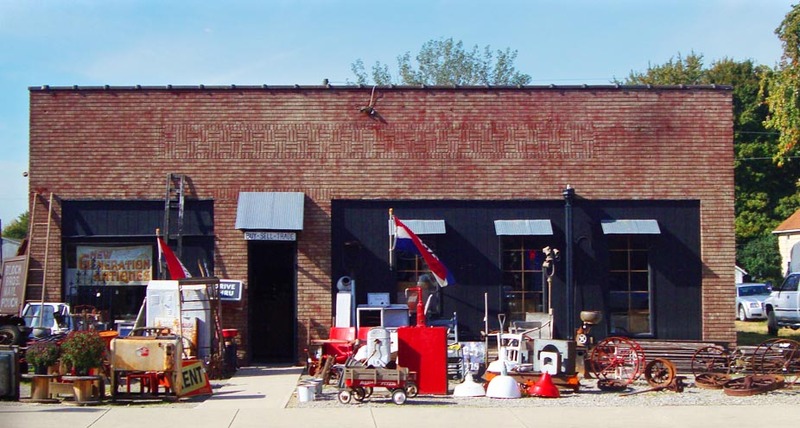 Located directly beside the railroad tracks on Main Street, New Generations Antiques carries everything from pretty to rusty and dusty including antiques, petroliana, advertising signs, Fenton glass, furniture, old farm items, vintage toys, marbles, kitchen items. Heritage tourists will appreciate the New Generations Antiques historic building as well – residents refer to as the ‘old Ford garage’ and is one of 4 historic repurposed auto garages in Mount Victory located within the Mt. Victory historic district. 122 S. Main St. – Antiques, petroliana, advertising signs, Fenton glass, furniture, old farm items, vintage toys, marbles, kitchen items.